Our Cherokee Baskets are made of our stoneware. 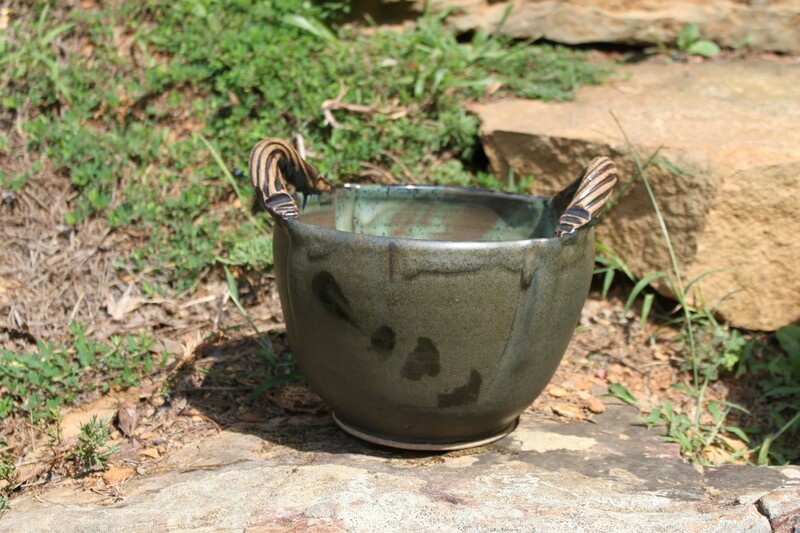 Handcrafted by Valinda, who is Cherokee. This basket measures approximately 8 1/2" tall and 10" wide. The measurements are approximate because each piece is hand crafted and can vary slightly.